Building Control Partners With Xtenda! 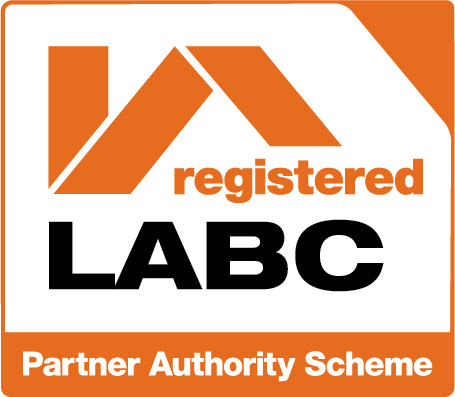 Xtenda has received a very warm welcome from the Local Authority Building Control, LABC Partner Authority Scheme. Our business is now registered with the scheme which means that all local authorities in England and Wales will accept the decisions of our chosen Partner Authority. We also get a consistent interpretation of the Building Regulations on our projects, a single point of contact at the Council Offices, much less paperwork, fewer queries on our excellent work and faster, streamlined invoicing – all at no extra cost to our customers. We can now use the LABC ‘Partner’ logo on our letterhead, marketing or other technical documents, in printed or electronic format. By using the logo, other professionals recognise that we have been officially approved to use this streamlined approach. As an LABC Partner, we have access to LABC training courses and seminars (usually exclusive to LABC members). LABC Training covers CPD for professionals, update training on new or changes Building Regulations and topical issues. We also have in-house training on Building Control topics that can be scheduled at our own venue for our employees. As last year, we can once again enter the LABC Building Excellence Awards and even make it through to the National Awards as a finalist! With work projects secured throughout 2017, there are bright times ahead for Xtenda. Hello and Welcome to every professional service you need in property development! We are here to take the stress away from your building project and here's how:- Managing Partner, Master Builder, Engineer and talented Furniture Maker, John Davidson is on hand to you throughout the build, project managing every aspect and ensuring you are kept up-to-date, included and informed along the way. John is our Chief Designer and ‘The Big Boss’ and his aim is to ensure you are thrilled with the end result. Aly Davidson is a Masters Graduate with a lifetime of experience supporting the Building Trades. Aly is often your first and consistent point of contact, keeping the admin, accounts and communications flowing. Aly also looks after the well-being of our workforce and the happiness of our customers and manages our corporate responsibility programme. Ade Adams and Chris Morris are just two of our many, long-serving and valued Master Craftsmen. Approachable, efficient and caring, each of our team is treated like our family. Some of our Craftsmen are University Graduates to Masters Degree level. All of our Master Craftsmen and their Junior Tradesmen work to a very high standard, leave your site clean and safe and are considerate to your neighbours, treating you and your home with courtesy and respect. Our specialised list of IPA’s (Independent Professional Associates) includes Draughtsman and Engineer Matthew Eaton. Mat works tirelessly with us to ensure you are happy with your final design drawings. Our ‘man with the plan’, submitting your planning application and dealing with building control regulations. Xtenda has trusted links to every professional service needed in property development, including kitchen manufacturers, window and door manufacturers, decorators, landscape gardeners, carpet fitters, professional cleaners and even the caterers for the party to celebrate your new extension! There is truly NOTHING we don't know about building and NOTHING we can't do for you! Just flirting with your customers?